My focus is on providing quality, comprehensive, efficient care, so that our patients can have more time with their families and less time at the hospital. “When I was in sixth grade, I visited a relative at a hospital,” says Dr. Abdul Hamid Alraiyes. “I was so moved by the care, communication and skills of the doctor, who quickly became my role model.” Today, as Director of Interventional Pulmonary & Critical Care Medicine at Cancer Treatment Centers of America® (CTCA), Chicago, Dr. Alraiyes strives to exemplify the dedication he once admired. Originally from Syria, Dr. Alraiyes holds a Doctor of Medicine degree from the University of Aleppo School of Medicine. His extensive postgraduate training began with a residency in internal medicine at Case Western Reserve University/St. Vincent Charity Hospital in Cleveland, Ohio, serving as chief resident from 2008 to 2009 and receiving The Adel Askari Memorial Award for compassionate and humane patient care during his training. 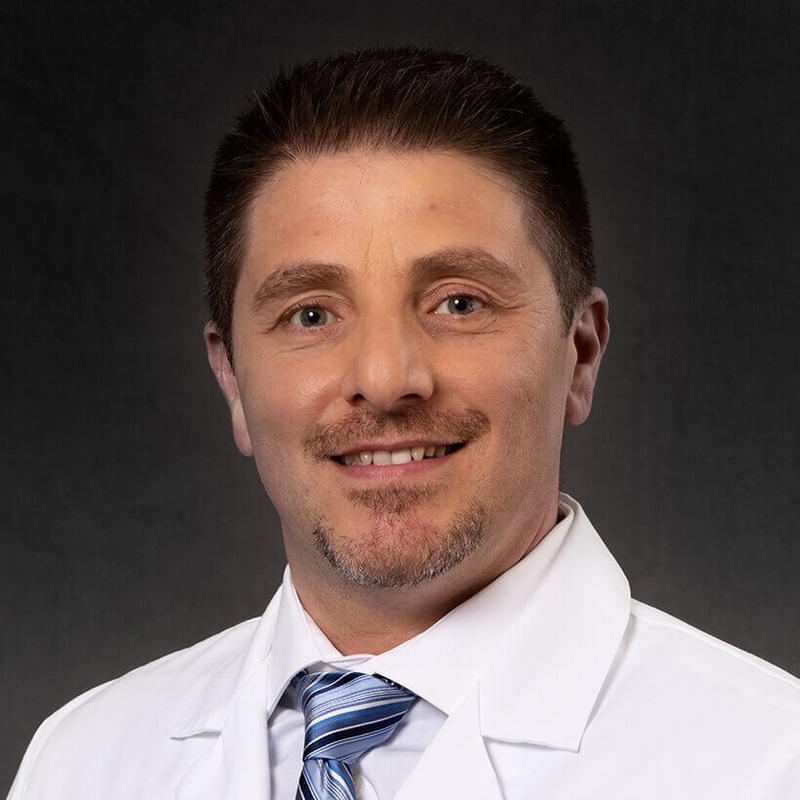 He completed a fellowship in sleep medicine also at Case Western Reserve University and then turned his focus to pulmonary and critical care through a fellowship at Tulane University. He later served as an interventional pulmonology fellow at the Cleveland Clinic Foundation. During his training, Dr. Alraiyes completed his board certification in internal medicine, critical care medicine, pulmonary medicine and sleep medicine through the American Board of Internal Medicine. He has been a Diplomate with the American Board of Internal Medicine since 2009. Recognizing his dedication, the American College of Chest Physicians has awarded Dr. Alraiyes fellow status. In 2014, Dr. Alraiyes became Assistant Professor of Medicine at the University of Buffalo in New York. He also served as Assistant Professor of Interventional Pulmonology & Oncology at Roswell Park Cancer Institute before joining CTCA® in October 2016, and now serves as Assistant Professor of Medicine at Rosalind Franklin University of Medicine & Science in Chicago. At CTCA, Dr. Alraiyes provides interventional pulmonology care for patients diagnosed with lung cancer and pleural diseases, and those receiving palliative care for advanced cancer. He also seeks to provide early detection of lung cancer. Wishing to offer patients as many advanced techniques as possible, Dr. Alraiyes is trained in performing flexible and rigid bronchoscopy and electromagnetic navigation bronchoscopy, among many other approaches to pulmonary care. Always interested in expanding access to state-of-the-art care, Dr. Alraiyes holds certification in critical care ultrasonography and advanced critical care echocardiography through the American College of Chest Physicians. In addition to his clinical expertise, Dr. Alraiyes serves as an editor or reviewer with several prominent medical journals. He has also authored more than 20 papers on interventional pulmonology medicine. When he is not at CTCA, Dr. Alraiyes enjoys spending time with his wife and three children, who all love watching and playing soccer. But medicine remains a passion outside the clinic as well, through reading, writing and social media.